Is there any paperwork or document for the mechanical systems of 85 Martin Rd, Bancroft, Ontario? I need more information about the property at 85 Martin Rd, Bancroft, Ontario. How ist the neighborhood, location and nearby amenities for 85 Martin Rd, Bancroft, Ontario? I have questions about the roof, foundation, insulations and mechanical issues of 85 Martin Rd, Bancroft, Ontario? I need more information about property details. What's wrong with this house? Is this a short sale? Is there any maintenance for 85 Martin Rd, Bancroft, Ontario? What is this property worth in today's market? What are "closing costs", and how much? What steps should I take when looking for a home loan? What price home can I afford? Is my credit good enough to buy this house? What are the best mortgage options for me? How flexible is the seller on the asking price? How low can I consider offering for 85 Martin Rd, Bancroft, Ontario? 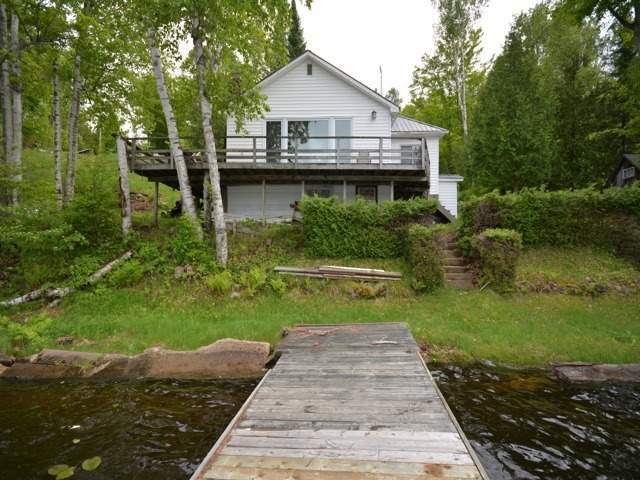 Baptiste Lake -Lots Of Character At This Newly Renovated Cottage W/Excellent Deep & Clean Shoreline For Swimming. Older Boathouse (Wet), Privacy, Road Access, Great Sunset Views Of The Lake. Only 10 Mins To Bancroft. Cathedral Ceiling In Living Room Overlooking The Lake. Stone Wall Up Basement, Solid Foundation, New High Efficiency Propane Furnace, 3 Bed/Plus 2 Bed In Boathouse. New Kitchen Counters (Butchers Block). New Drywall, New Electrical 200 Amp Panel. Incl: Fridge, Stove. Excl: N/A. Legal: Pt Lt 16 Con 4 Herschel Pt 4 21R1134 Exc Mro As In Qr520732 Re: Thirdly, Fourthly, T/W Qr52072.